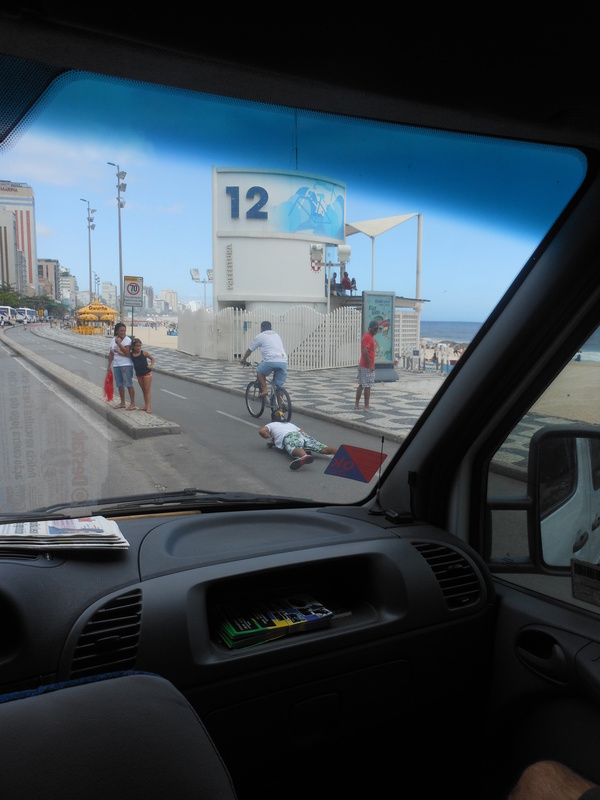 In February, the family took a cruise/vacation where our first port of call was the Brazilian city of Rio de Janeiro. 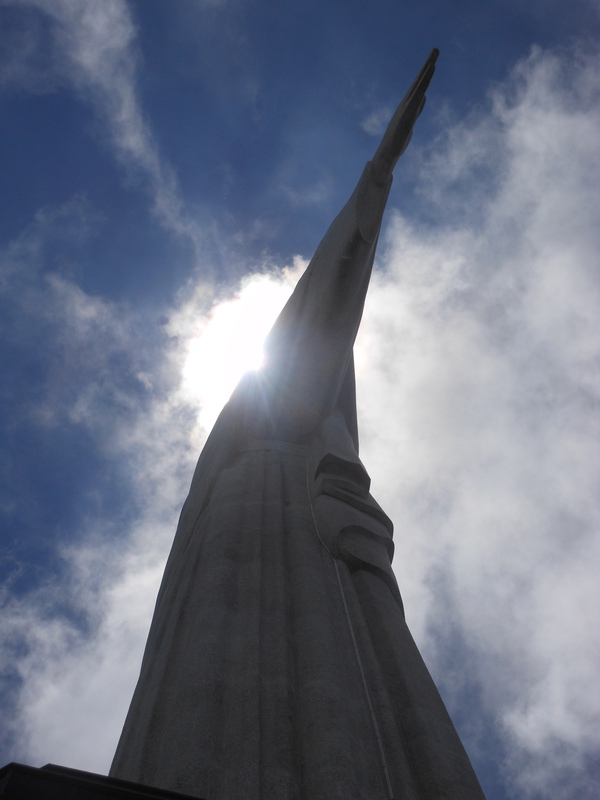 As mentioned in a previous post, part of our scenic looksie through the city that will host the 2014 FIFA World Cup and the 2016 Summer Olympic Games was to make a stop at the statue known as Christ the Redeemer. Here is my “up”lifting photo. I look forward to the upcoming themes from WordPress such as toy stories, a bug’s life, and monsters. …and we’re back attempting the weekly photographic challenges offered by the fine folks over at WordPress. This week’s theme is forward. My submission comes from our recently completed cruise. One of our stops was the Brazilian city of Rio de Janeiro, site of the 2014 FIFA World Cup and the 2016 Summer Olympic Games. 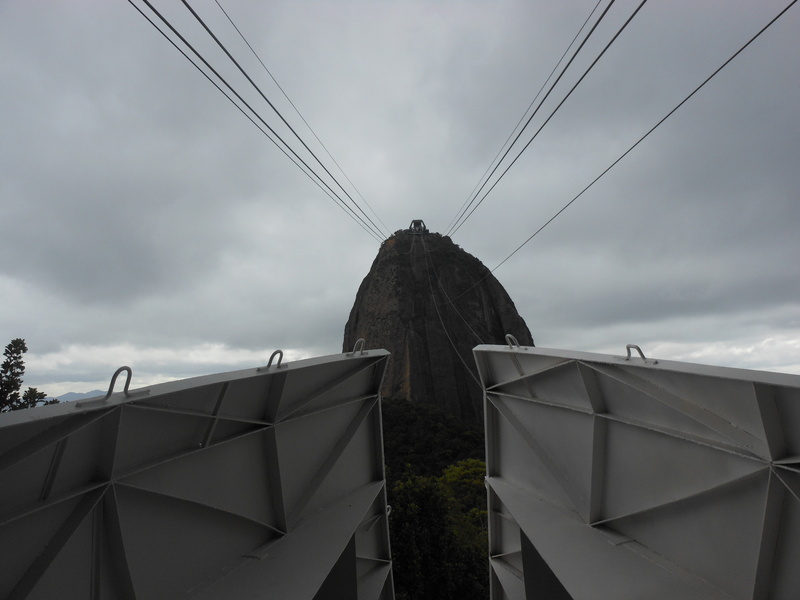 A striking and iconic landmark of this city is the geologic formation known as Pão de Açúcar or Sugarloaf Mountain. To reach the summit, one has to take a pair of cable car trips. This is a shot from the first station as we are about to go forward to the second station. 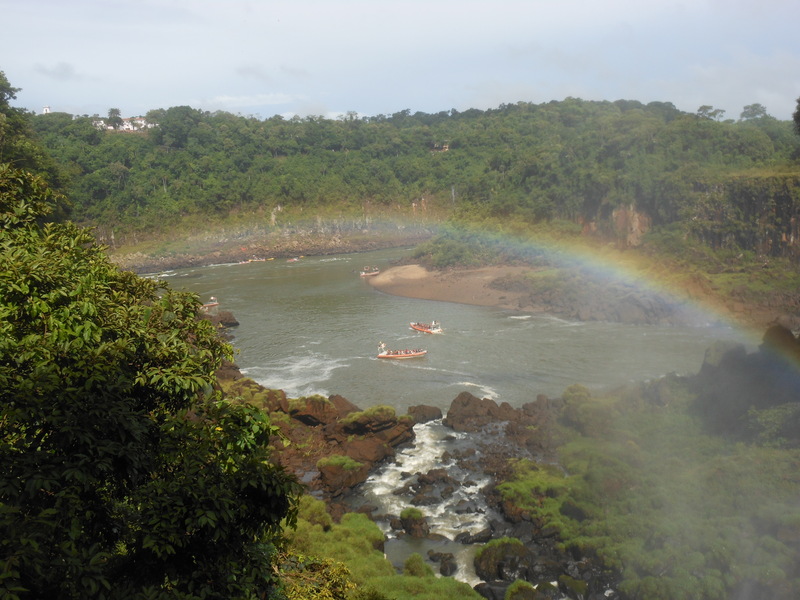 As mentioned in yesterday’s post, the family and I went on a nine-day cruise off the eastern shoreline of South America. We started in Brazil and in fact the majority of the passengers and a large portion of the crew were from that large country. How can you tell you are on a Brazilian ship? Because when the Super Bowl was being held on February 3 while we were at sea, the cruise line did not broadcast the game between the Ravens and the 49ers. No TV anywhere on the floating vessel – not in the cabins, not in the sports bar, not on the giant video screen by the pool – showed the teams coached by the Brothers Harbaugh battling it out. However, a few days later, when Brazil played England in a friendly soccer game…that contest was shown on every available screen. Even the giant video display by the pool. By the way, England won 2-1 much to the dismay of 98% of the passengers.